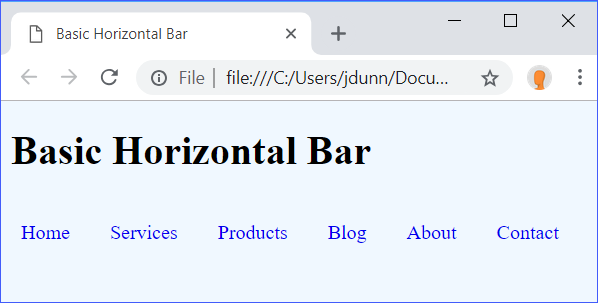 Turn CSS lists into horizontal and vertical navigation bars. 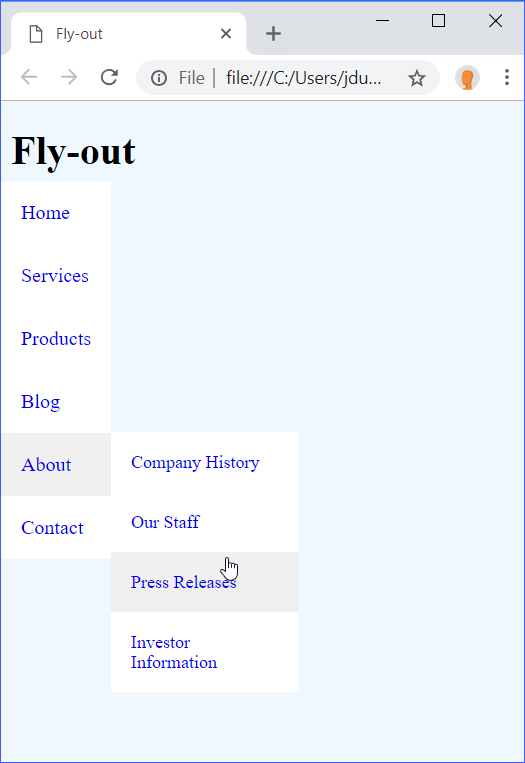 Use nested lists for multi-level navigation, creating dynamic drop-down and fly-out menus. 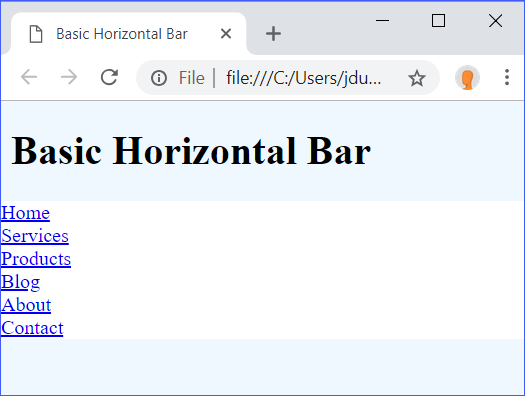 In this lesson, you will learn how to style these lists to turn them into easy-to-use and dynamic navigation bars. 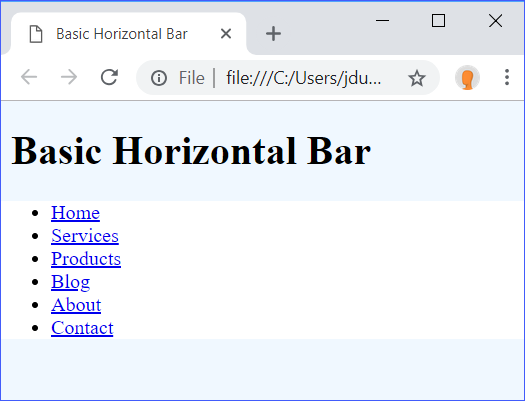 Open CssListMenus/Exercises/basic-horizontal-bar-styles.css and CssListMenus/Exercises/basic-horizontal-bar.html in your editor. Add an aliceblue background to the body. 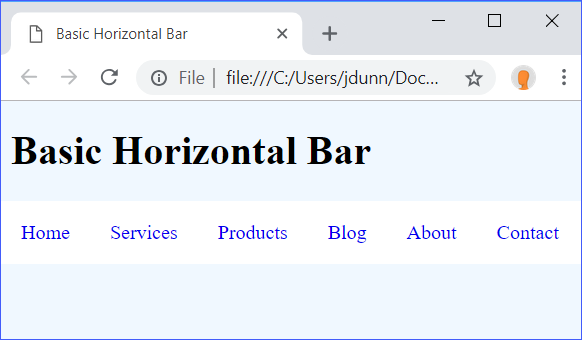 Add a white background to the nav and left and right margin of -0.5rem (to cancel out the default margin added to the body element and make the nav touch both side of the viewport. Remove bullets by setting list-style (https://developer.mozilla.org/en-US/docs/Web/CSS/list-style) to none. Set margin and padding to 0. Float the li elements left to line them up horizontally. Change the background when the links are hovered over. Change the color when the links are clicked. 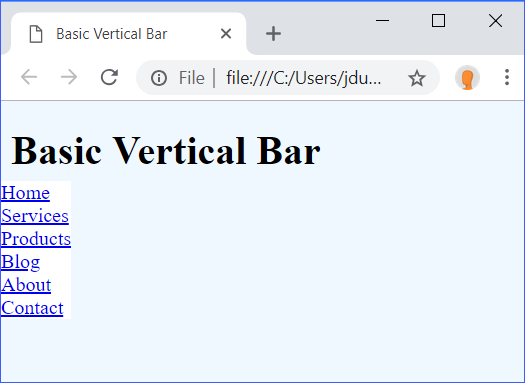 Open CssListMenus/Exercises/basic-vertical-bar-styles.css and CssListMenus/Exercises/basic-vertical-bar.html in your editor. Add a white background to the nav and position it absolutely 4rem from the top and give it a left margin of -5rem. We probably don't want the nested list to be shown all the time, so we can hide it and make it show up when the user hovers over the "About" link. 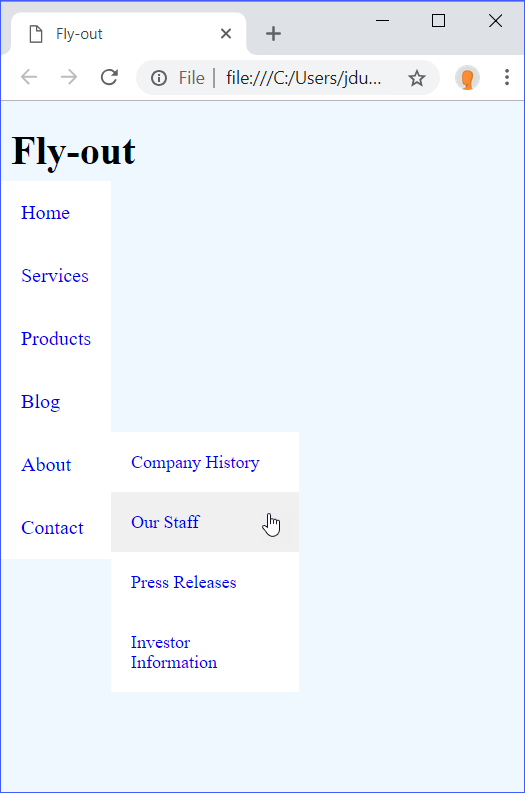 For a horizontal bar, we will create a drop-down menu and for a vertical bar, we will create a fly-out menu. Open CssListMenus/Exercises/drop-down-styles.css and CssListMenus/Exercises/drop-down.html in your editor. First, change the HTML to add the nested list to the "About" li and add a contains class to the "About" li. Hide the nested ul by setting its display to none. Display the ul when the "About" li is hovered over. 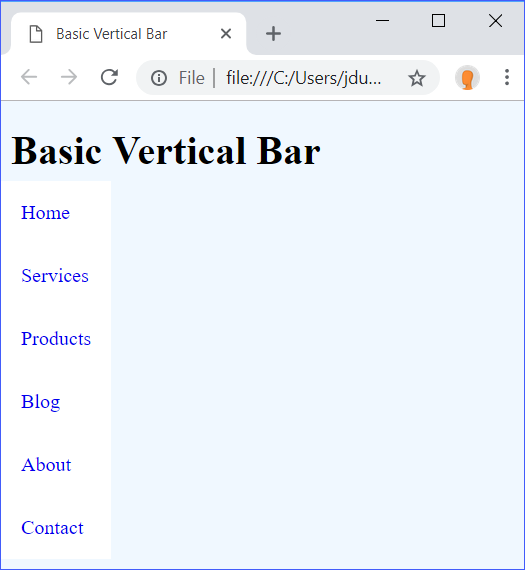 To keep the "About" li from growing and taking up so much space when its nested list shows up, make the nested list vertical by removing the float. Also make the font size slightly smaller for the nested li elements. 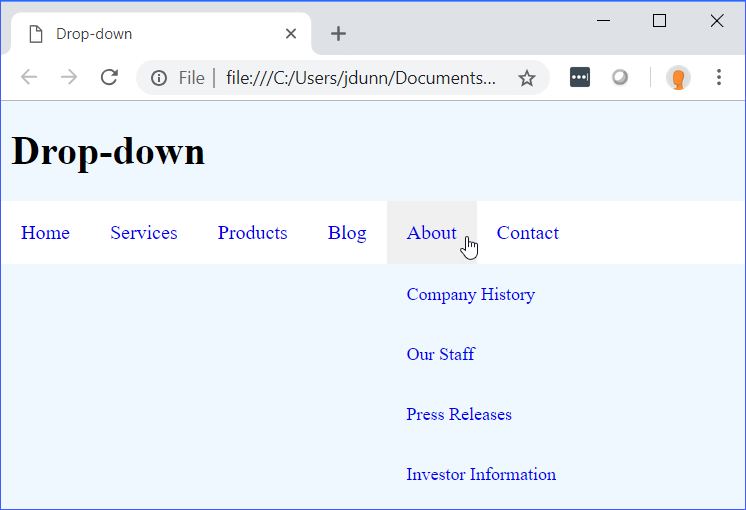 The "About" li is still taking up too much space, so position the nested list absolutely to make it not affect other elements. Add a white background to the nested list. 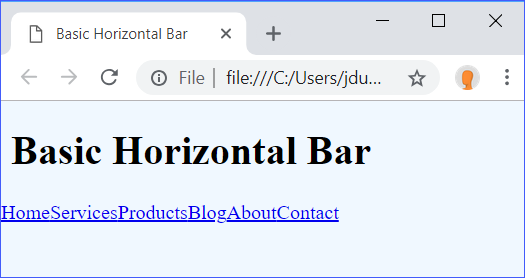 Change the link hover rule to a li hover rule, so that when a nested menu item is hovered over, the "About" li is still gray. 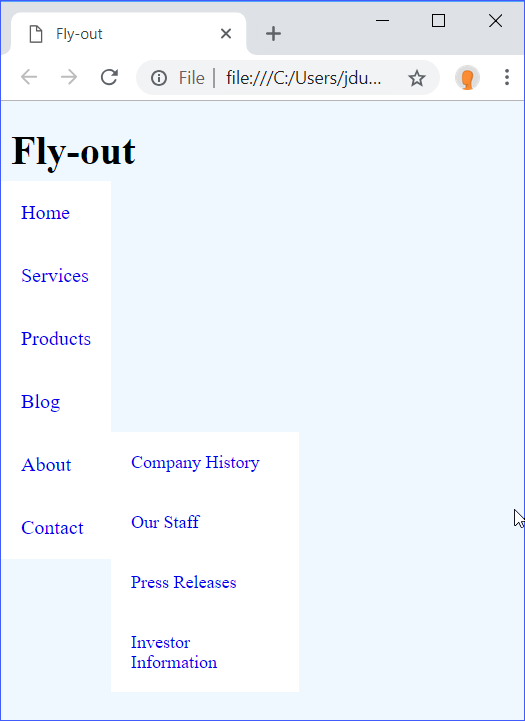 Open CssListMenus/Exercises/fly-out-styles.css and CssListMenus/Exercises/fly-out.html in your editor. 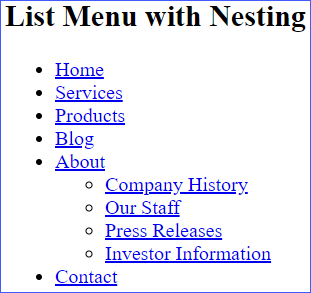 Position it absolutely where you want the nested list to show up. Give it a white background. Make the font size smaller. Hide the nested ul by setting display to none and make it reappear when "About" is hovered over. 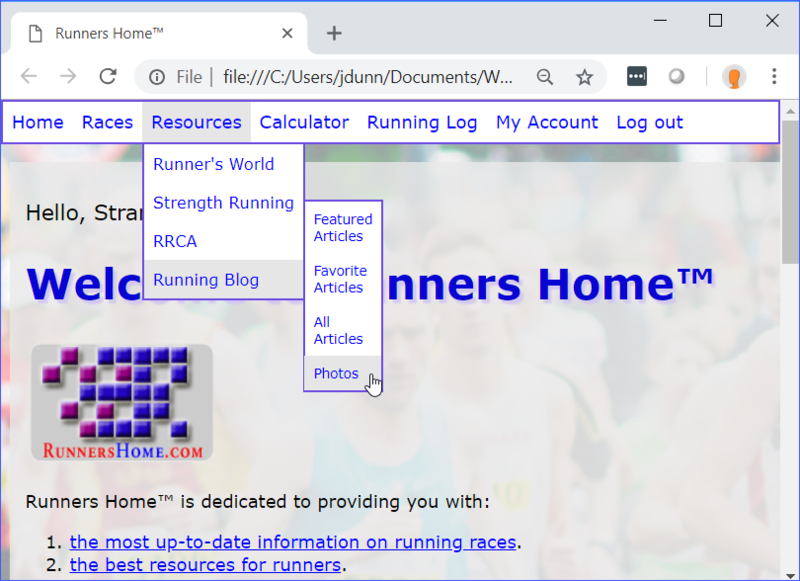 In this exercise, you will go back to working on the Runners Home homepage. 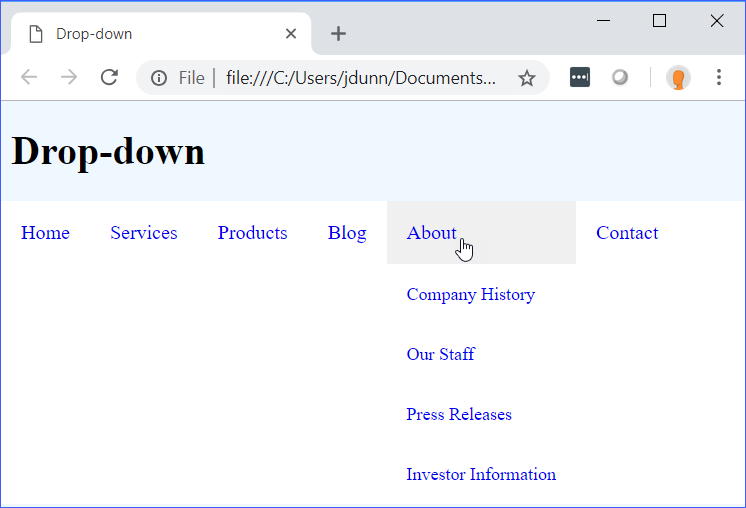 Open CssListMenus/Exercises/index.html in your editor. Note that nested lists have been added to the top navigation. 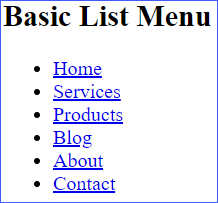 Open CssListMenus/Exercises/styles.css. 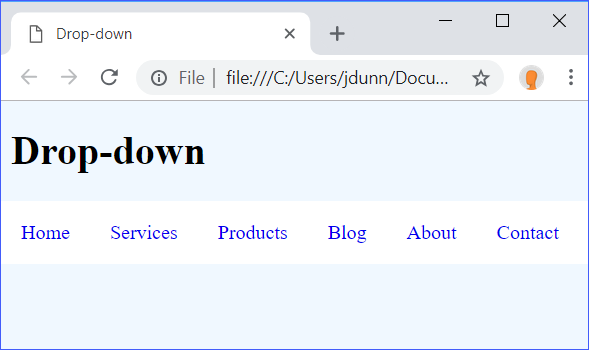 Feel free to continue working from your own stylesheet. Using your new knowledge of list menus and navigation bars, restyle the Runners Home navigation. 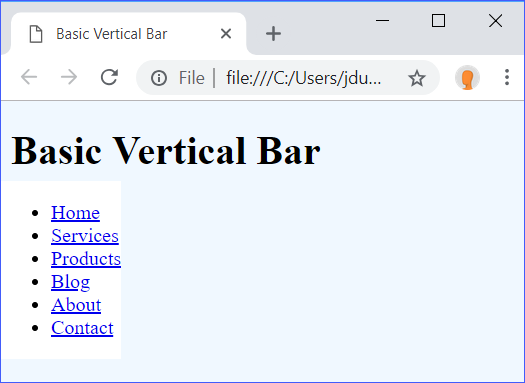 The object of this exercise is to practice creating dynamic navigation bars. 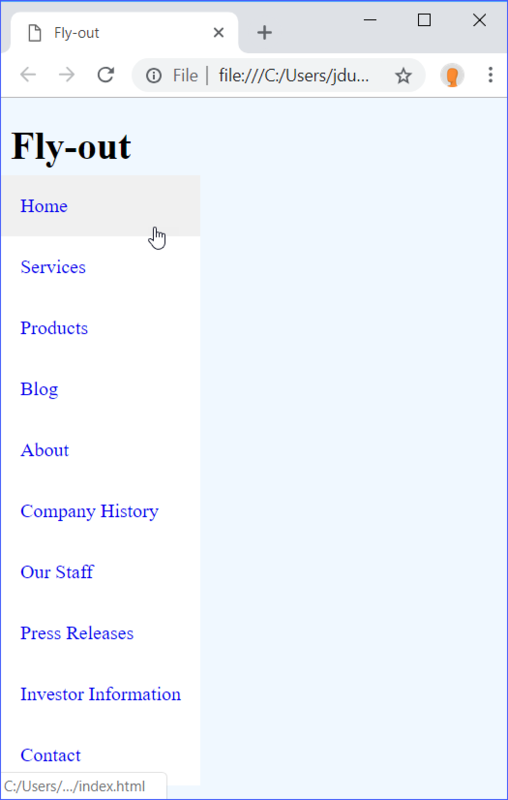 See if you can find a way to combine drop-down and fly-out menus. 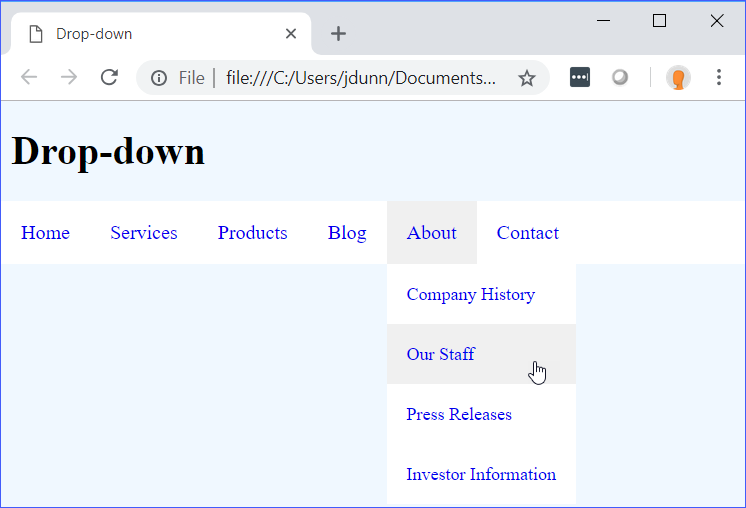 When you are done, open index.html in your browser to see the results. You are welcome to go back to the code and continue to work. We omitted all lines in the solution, except those related to the navigation bar.